There is no denying it. 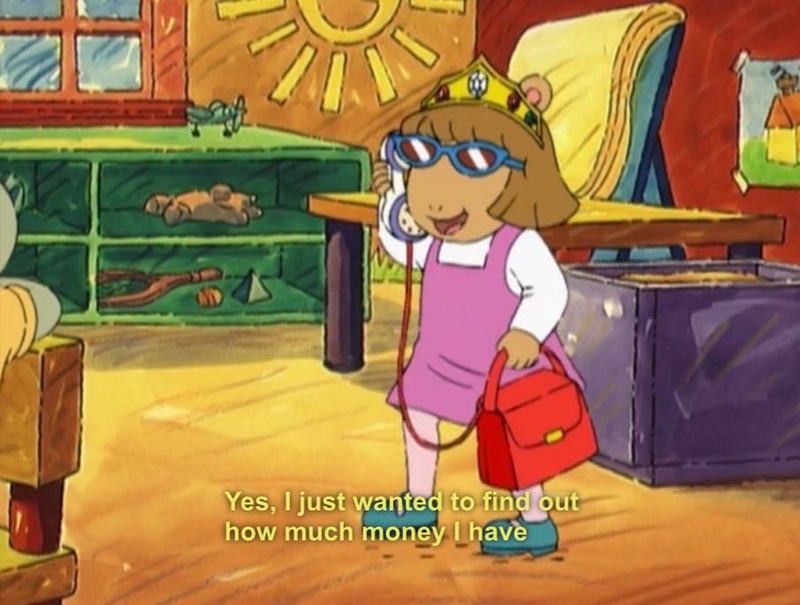 D.W. Read was Arthur's resident Queen Of Shade. At just 4 years old, Dora Winifred mastered the art of the side eye and every other shade queen essential. 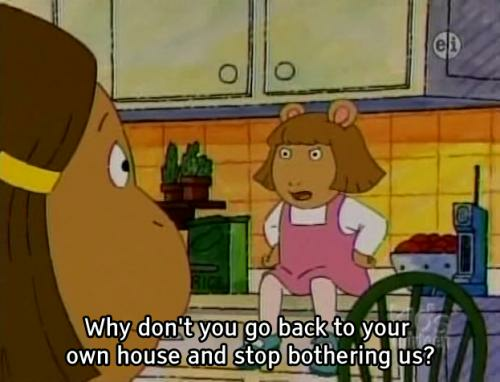 To celebrate DW's indomitable shadiness, here are 9 times DW was The Queen of Throwing Shade. 1) When DW wasn't afraid to tell Francine to bugger off. 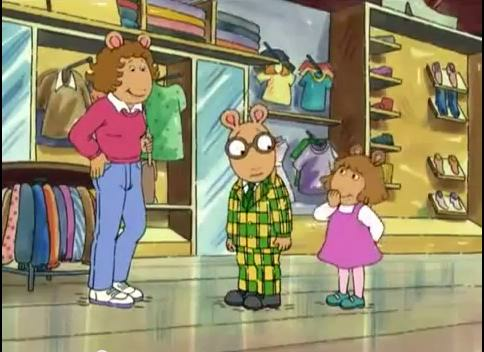 2) Or when she threw shade at Arthur's signature look. 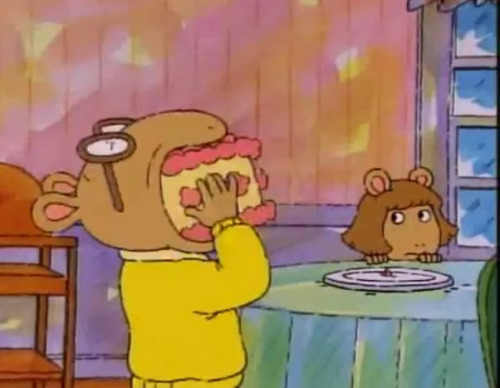 3) When she gave Arthur side eye for cheating on his "diet". 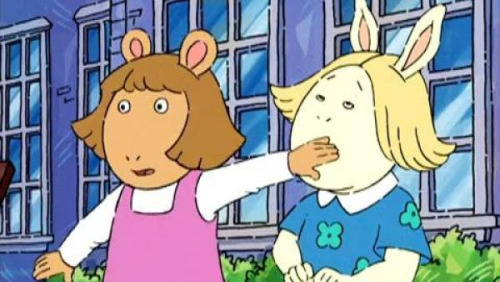 4) When she physically placed her hand over her friend's mouth to shut her up. 5) When she wasn't invited but was still there to shade the scene. 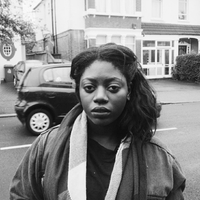 6) When she gave Arthur major side eye in the form of photos on the mantel. 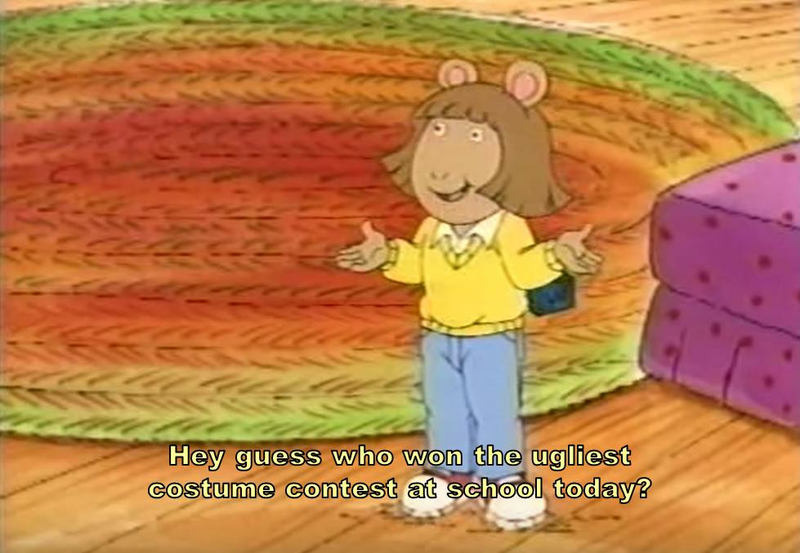 7) When Arthur's outfit was a freaking mess. 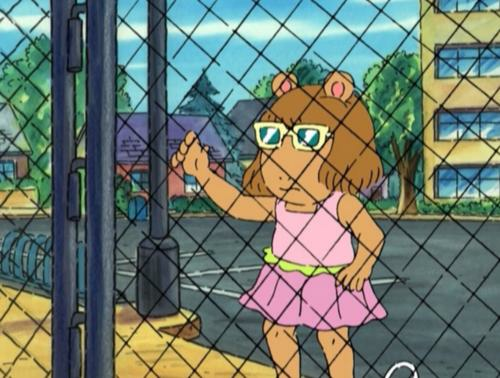 8) When D.W. pretended to be a part of the 1%. 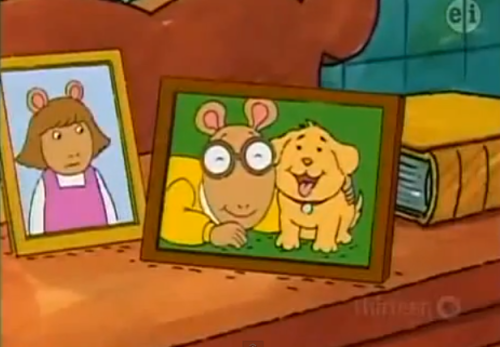 9) When D.W. just wasn't that impressed with anything at all.